The Nominations & Elections Committee held an undergraduate referendum on fossil fuel divestment and clean reinvestment from February 23rd to February 27th, 2015. It was the first student referendum in six years and Fossil Free Penn gathered over 500 signatures to initiate the ballot initiative. To ensure a high turnout, Fossil Free Penn additionally mobilized eighty volunteers during the referendum voting period. 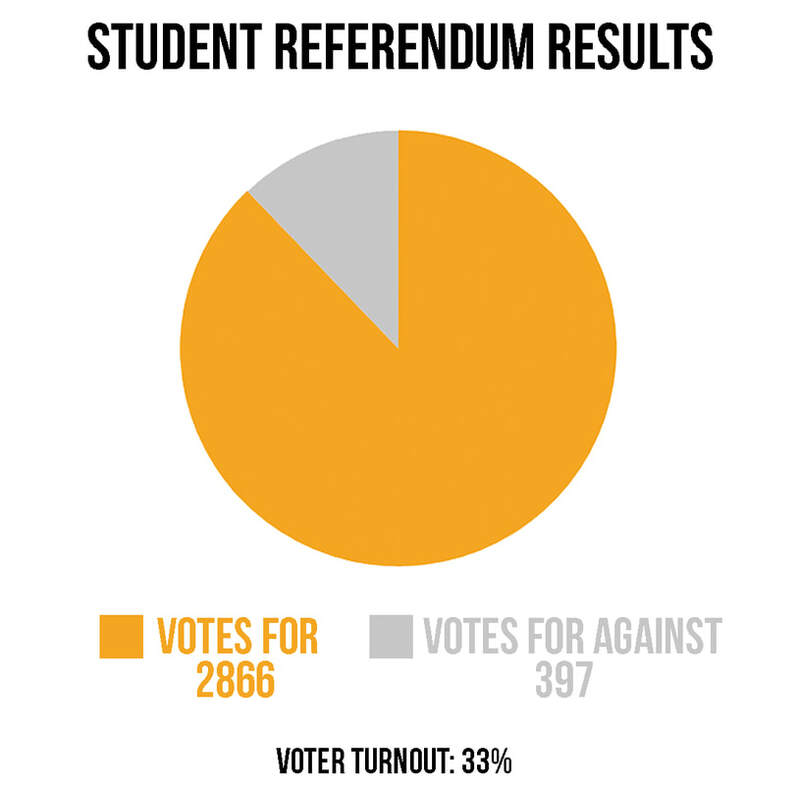 The results of the referendum demonstrate resounding support for our proposal among the student body, with 87.8% of participants voting in favor. 3. Reinvest a portion of the extricated funds into clean energy assets."